Welcome to Autumn, my favorite season for fashion! Why is it my favorite? It is the start of a new year in the fashion world. New trends emerge, retailers fill their floors with new items, and fashion lovers start layering up! One of my favorite trends this Fall are animal prints! From cheetah, crocodile, snakeskin, zebra, and giraffe- all animal prints are fair game! I know, I know, animal prints have a bad reputation and can be pretty scary to wear. After all, you don’t want to look trashy right? 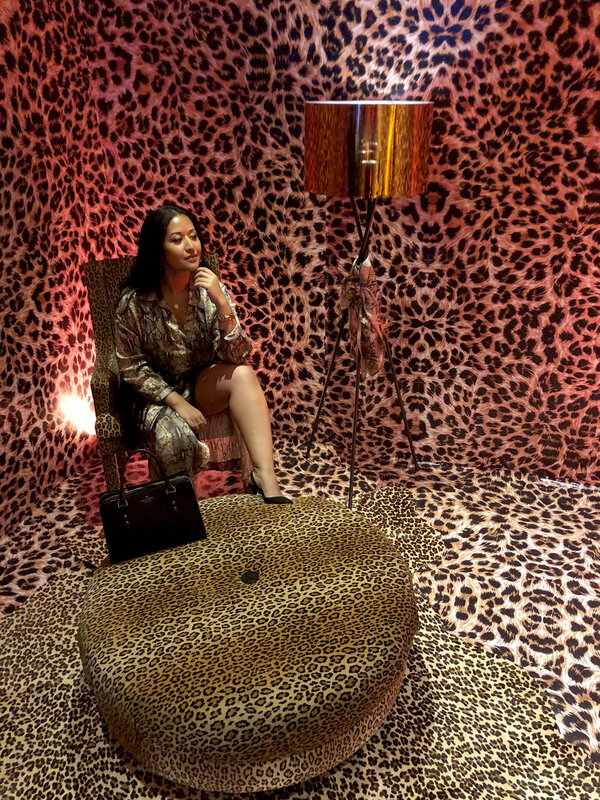 Well, I’m sharing some of my favorite animal print pieces and different ways to wear them. 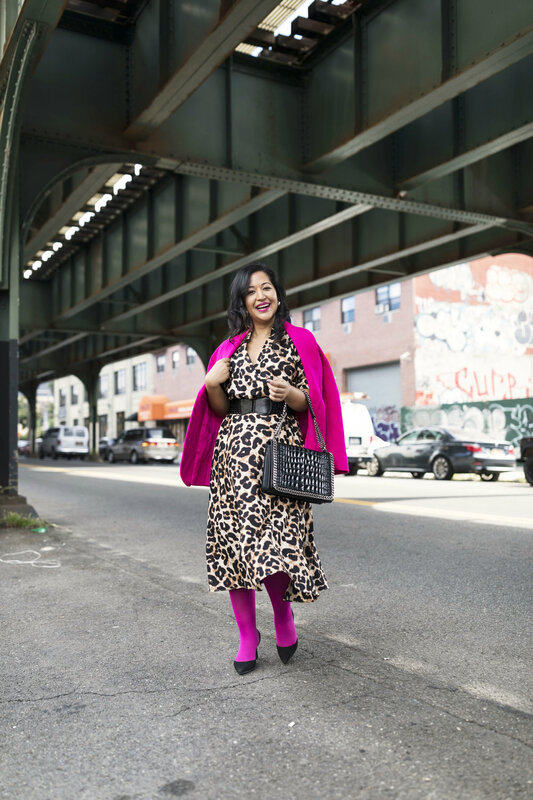 A bold cheetah dress is a piece I think you have to try this fall. It makes a great statement and is very versatile. This is a great style for an all over cheetah print dress because of the wrap style and flare skirt. This fit and flare shape is great for every body shape. It is appropriate for work as well as a party. 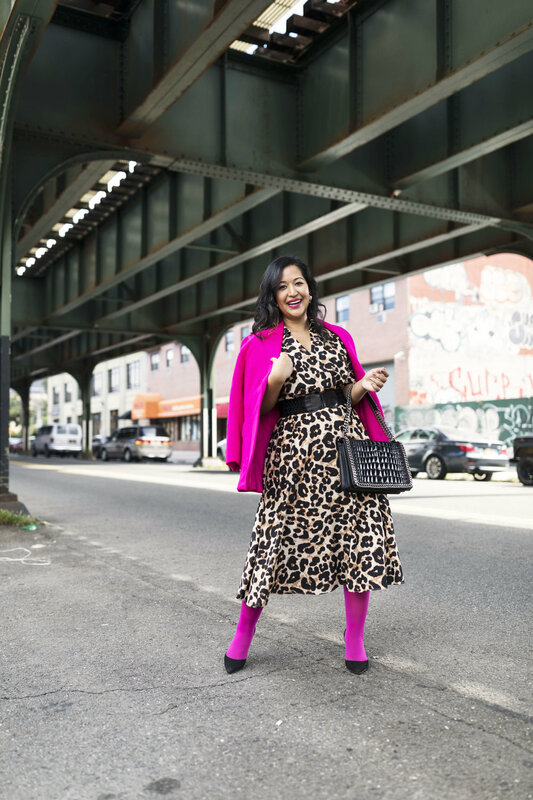 A color that compliments cheetah print like no other is hot pink! The two make a perfect bold combination that cannot be missed. Even if all you’re will to try is a hot pink lip, give it a go when wearing cheetah print this Fall. 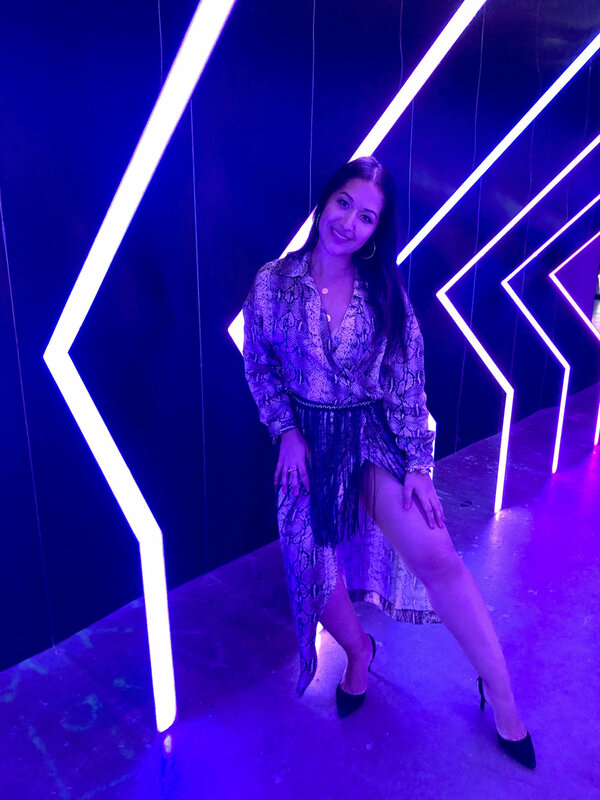 Slither your way into the best dressed list with a snakeskin print dress! I am not a fan of snakes but I find their skin beautiful! So why not wear the print this Fall? Again, this animal print is a neutral and can be worn with anything. I brought this snakeskin printed dress back to the basics with a classy pair of sling backs and box bag. 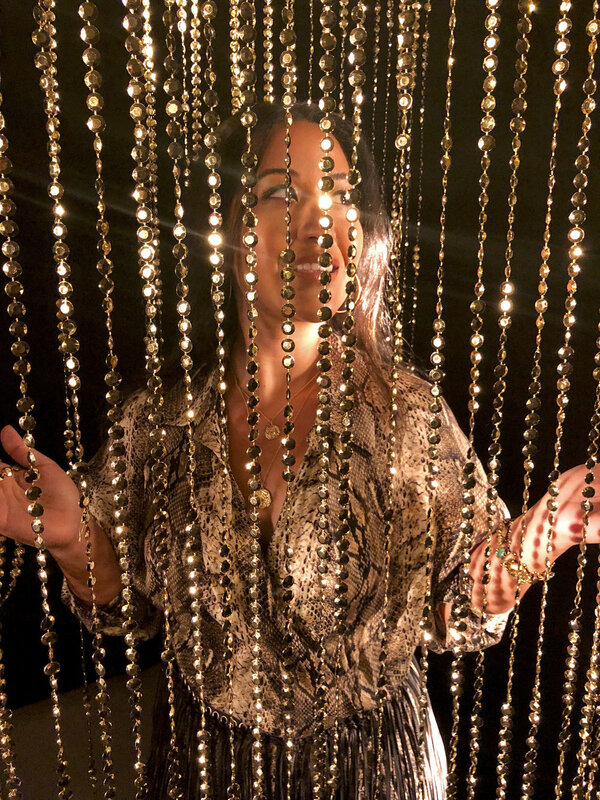 To add a little excitement, I went with a leather fringe belt and layered gold chains. If you are not into a full head to toe, try one animal printed piece like a denim skirt! It has been a while since animals prints were a big trend, probably since the 90’s. I’m super happy about it too because I have always been a fan of them. Plus, I get to finally wear pieces handed down from my mom. Yes, this amazing cheetah print denim skirt is from her and she wore it when she was my age. Crazy right?! Trends really do repeat, so make sure to save your favorite pieces. If you are not into wearing animal prints head-to-toe, then try adding in one animal piece into your closet. 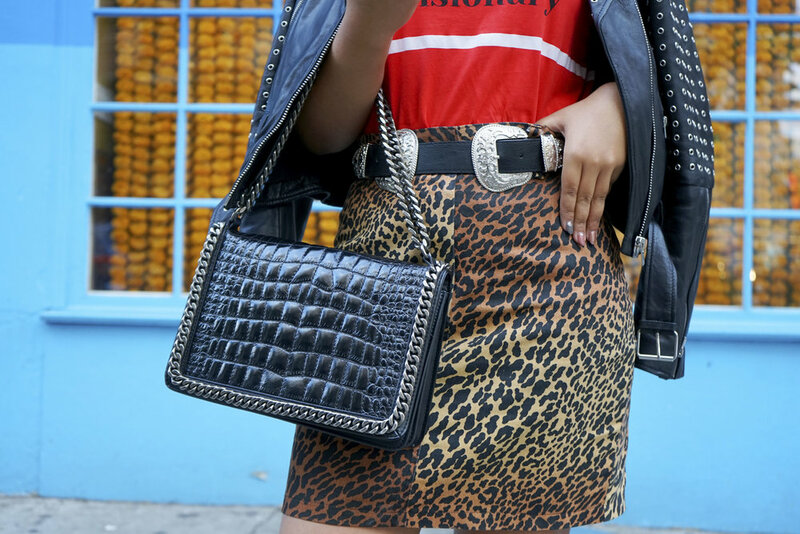 A cheetah skirt is the perfect investment in animal prints. It is the most versatile item and it plays as a neutral so you can wear it with anything in your closet. 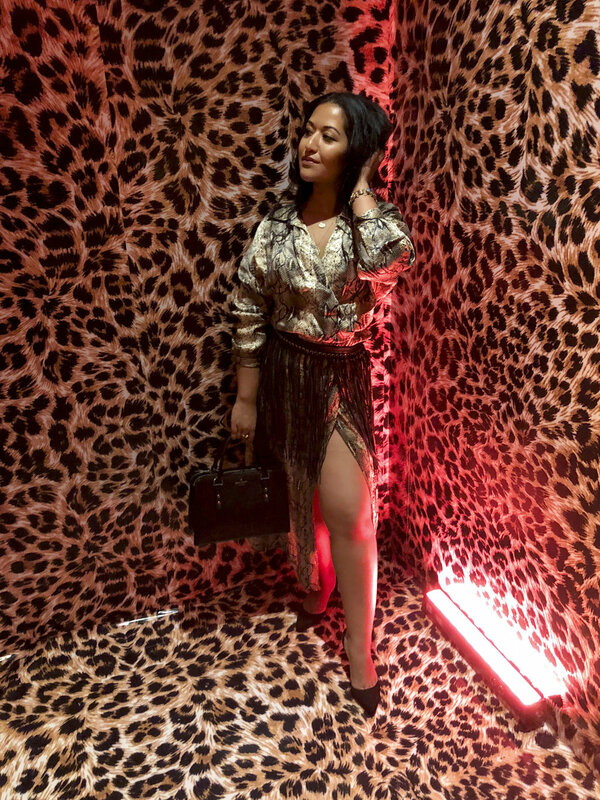 There are endless styling possibilities with a cheetah skirt. Here, I combined some western rocker influences. 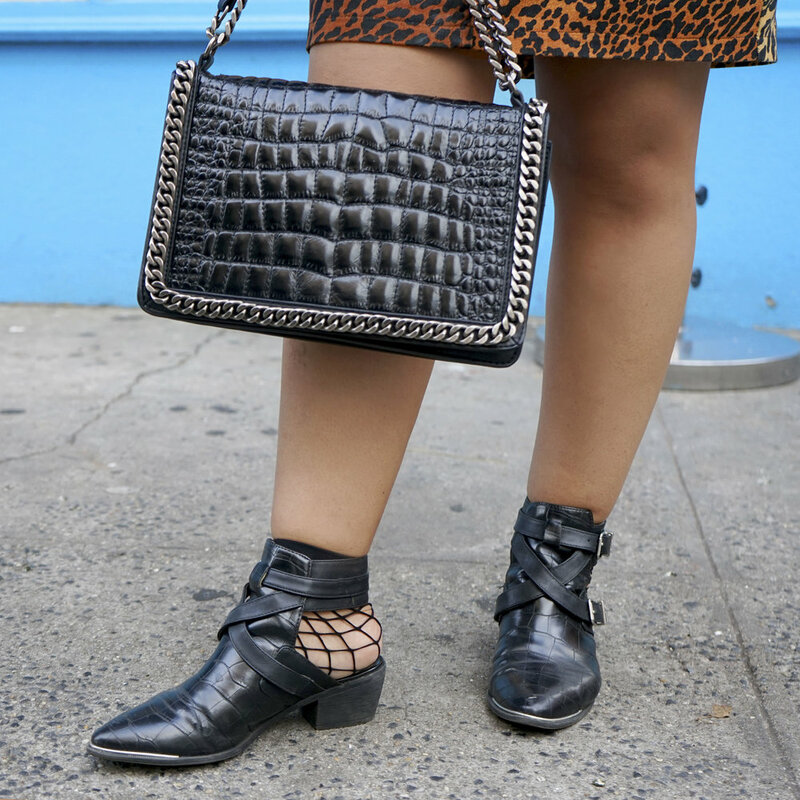 Throw on a leather biker jacket and booties to complete any look with a printed skirt. 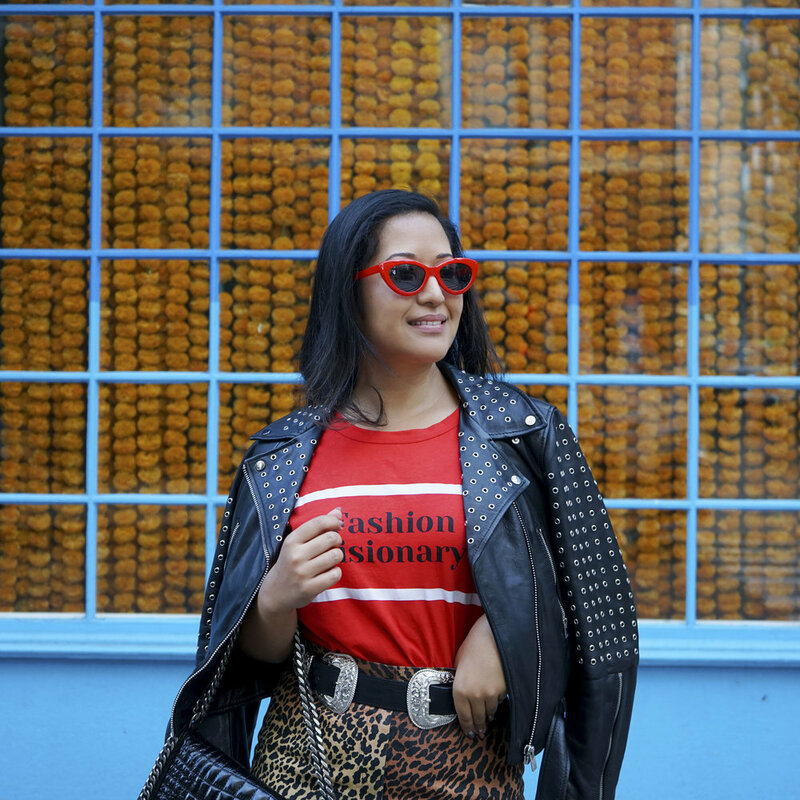 Tip: To help break up the cheetah print, add a wide belt.